Oona Campbell’s recent paintings are united by the dramatic cloudscapes that roll across our skies and nature’s light effects especially at dawn and dusk. A group of paintings of Petworth Park Lake at sunset forms the focus of the show together with images of the long sandy beach of West Wittering. Further afield, Oona exploresthe mist of an early morning onthe Jurassic coast of Dorset and the wild moors of Scotland's Applecross Peninsular. The paintings are a combination of observation and memory; enablinga vivid reliving of the dynamic qualities of watery mist, the setting of the sun, lashing storm rain, or the aural turbulence of thunder. Juxtaposed with Oona’s figurative work is an exhibition exploring the use of abstraction in the landscape. Tuëma Pattie lives in Duncton and has painted both the Sussex landscape and further afield. She is a long-term exhibitor at the gallery with her exuberant paintings celebrating the joy of nature. 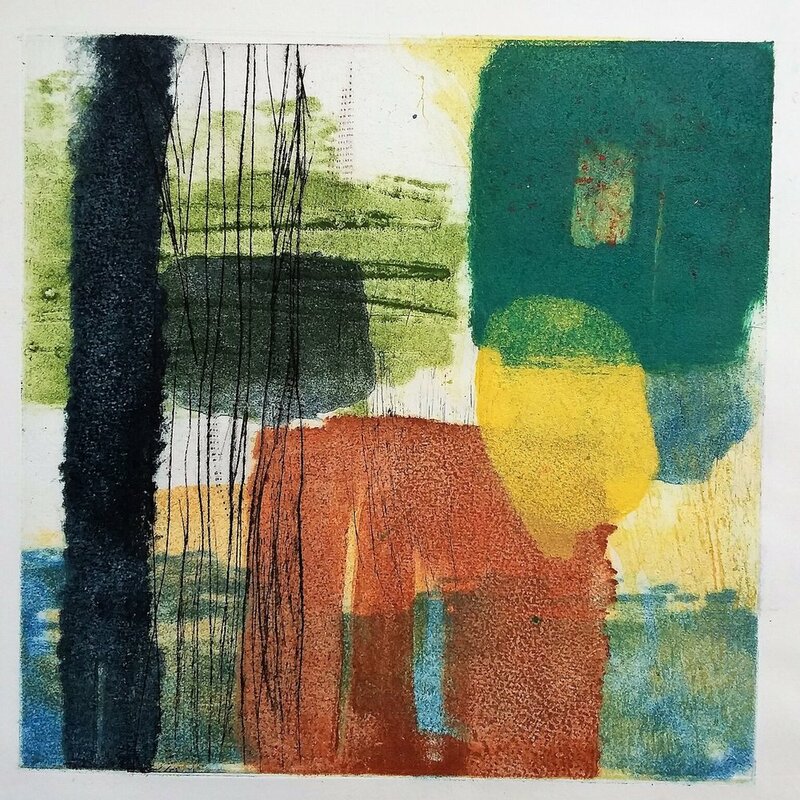 Sarah Warley-Cummings is another Sussex artist who has made a series of abstract prints exploring the shapes and colours of the countryside. We are very lucky to exhibit two Scottish artists. 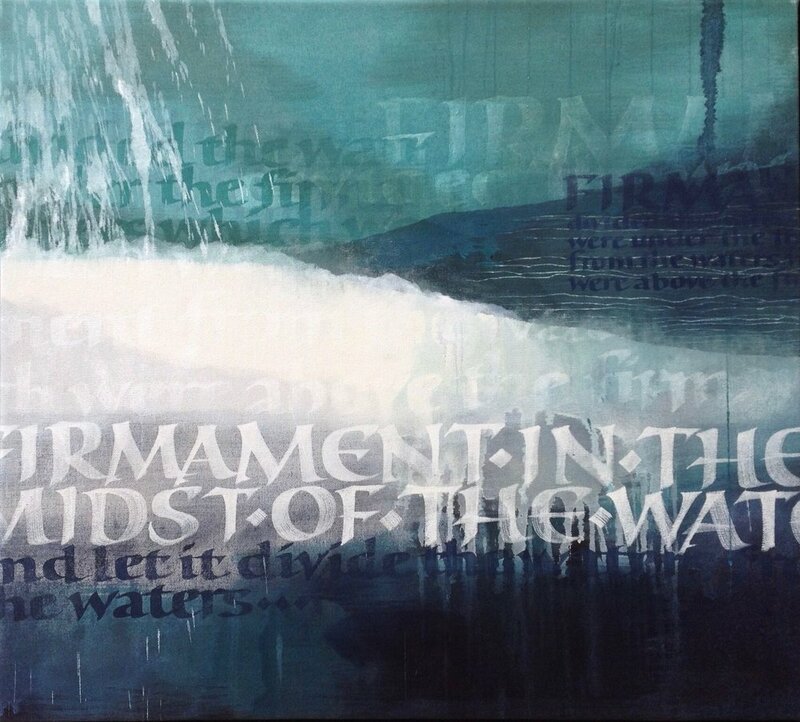 Susie Leiper, whose work combines calligraphy and landscape. One of the country’s finest calligraphers she is also trained in the techniques of Chinese art. Her work unites eastern and western traditions of painting. Jonathan Gibbs is a senior tutor at Edinburgh College of Art and a leading wood engraver his multi-layered paintings combine present observation with a life-time of images and motifs remembered.